What is Afrin nasal spray? Afrin nasal spray is a nasal spray that contains oxymetazoline solution. It is beneficial in providing relief from nasal congestion or sinus infection. 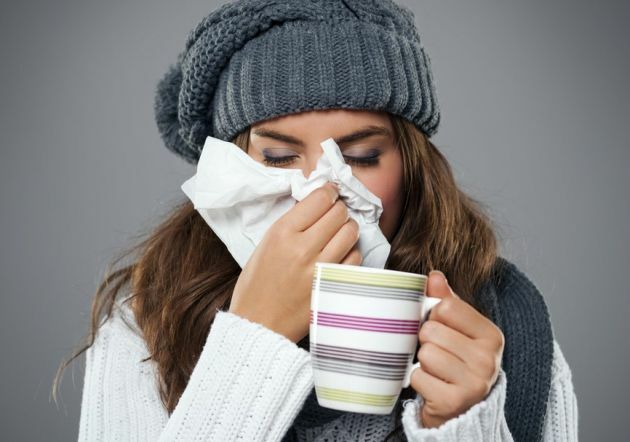 The nasal congestion can occur due to the common cold, hay fever, upper respiratory infections, or sinus infection. How Afrin nasal spray works? Afrin nasal spray contains oxymetazoline which is an alpha-adrenergic agonist that stimulates alpha adrenergic receptors and produces vasoconstriction in arterioles of the nasal mucosa. Oxymetazoline is a decongestant that works by constricting the swollen and congested mucus membranes of nasal tissues. Constriction of nasal tissues results in proper relief in stuffy nose, improved drainage of mucus, improved breathing thereby improved the quality of life. Being a topical application, Afrin nasal sprays are more beneficial as compared to orally available oxymetazoline as nasal dosage provides rapid and intense relief. What is the most important information I should know about Afrin nasal? Do not use Afrin nasal nasal for longer than 3 to 5 days. Longer use could cause damage to your nasal tissue and lead to chronic congestion. If your symptoms do not improve, see your doctor.Do not use more of this medication than is recommended on the package or by your doctor. What are the indications of Afrin nasal spray? What should I know before Afrin nasal spray? If you are allergic to oxymetazoline or any other ingredient of Afrin nasal spray. How long does it take for Afrin to work? When used as directed, Afrin relieves nasal congestion within seconds and lasts up to 12 hours. The onset of action of oxymetazoline occurs within seconds and last up to 6 hours. The elimination of oxymetazoline occurs via kidneys. What is the dosage of Afrin nasal spray? For Adults: It is available as an intranasal solution and in the strength of 0.05%. For Nasal Congestion: Afrin nasal spray is mainly indicated for temporary relief in nasal congestion, the dose includes: 2-3 sprays per nostril once a day. You should not exceed the two doses in 24 hours for 3 to 5 days. For children: It is available as intranasal solution and in the strength of 0.05%. For Nasal congestion: In children of less than 6 years of age, it is indicated for temporary relief of nasal congestion, however the safety is not established in children of such age, so it is advisable that if you are giving this spray to children below 6 years of age, use it under proper guidance. In children more than 6 years of age, use it as 2-3 sprays per nostril once a day. You should not exceed the two doses in 24 hours for 3 to 5 days. How to use Afrin nasal? Use Afrin nasal as directed by your doctor. Check the label on the medicine for exact dosing instructions. To use oxymetazoline nasal spray, first of all, clean your nose. Do not tilt your head back when using this spray. Place the tip of the container into the nose. 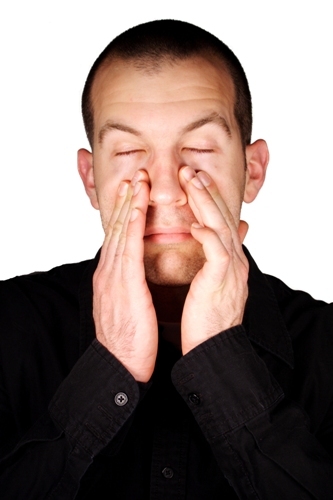 Using a finger from your other hand, press against the opposite nostril to close it off. Breathe gently through the open nostril and squeeze the spray container. If you are using more than 1 spray, wait for 1 to 2 minutes between sprays. If you miss a dose of this medication, take it as soon as you remember it. If it is more than 24 hours of your missed dose, then skip the missed dose and continue with your regular schedule. Do not double up the dose in order to manage the previous dose. Ask your health care provider any questions that you may have about how to use Afrin nasal spray. Can Afrin nasal spray be used during pregnancy? Afrin nasal spray should be administered with caution and only if benefits outweigh risks. The human studies regarding the administration of oxymetazoline during pregnancy are not given. Pregnant women should use this medication only if it very necessary. Can Afrin nasal spray be used during breastfeeding? Oxymetazoline, which is present in Afrin nasal spray is less likely to excreted in human milk, still a nursing mother should use this spray only in urgent conditions. Afrin nasal spray shows many side effects and you should check with your doctor immediately if you any of following side effects while taking Afrin nasal. Discomfort or irritation in the nose, mouth or throat, and sneezing. As per OTC labelings, Afrin nasal spray should not be used for more than 3 days, when used for self-medication. What are the interactions of Afrin nasal spray? One should use alternative of these medication if administration is necessary. Bromocriptine or cocaine: Afrin nasal spray can enhance the actions and side effects of these medicines, if administered together. This may not be a complete list of all interactions that may occur. Ask your health care provider if Afrin solution may interact with other medicines that you take. Check with your health care provider before you start, stop, or change the dose of any medicine. What are the precautions that you need to take while using Afrin nasal spray? Afrin nasal spray is a nasal decongestant, you should tell your doctor before using this medicine if you are allergic to this medicine or any of its ingredients or to other sympathomimetics (eg. Pseudoephedrine) or if you have any other allergies. Afrin nasal spray may contain many contain the inactive ingredient that may cause allergic reactions. You should consult your pharmacist for more details. In the case of any health problems such as heart/vessel disease, overactive thyroid (hyperthyroidism), diabetes, high blood pressure, difficulty urinating (due to enlarged prostate), you should consult your doctor before using this medicine. If you have to undergo any surgery, you should let your doctor know about this medication. When you are giving this medication to the children, you should take more precautions because children are more sensitive to the effects of the drug. You should always check the leaflets along with this medicine about whether this nasal spray can be used in children. Extra precautions are needed during pregnancy and lactation and you should discuss the risk of this medicine with your doctor before administration. This medicine is less likely to pass to the human milk, therefore, the nursing mother should also take care of herself and his child while using this medication. Does Afrin nasal spray provide relief from indoor and outdoor allergens? Afrin is helpful in relieving nasal congestion from colds and airborne allergies – be it outdoor or indoor. If you still suffer from allergies (itchy eyes, watery eyes) that Afrin does not treat, you should consult it with your healthcare professional. If symptoms persist even after taking this medication, you should talk to your doctor. How is Afrin different from other decongestants like phenylephrine and pseudoephedrine? Decongestants like phenylephrine and pseudoephedrine in tablet form can take for longer time to work and the effect of oral medication lasts for many hours as it stays in our system for longer time. Whereas topical formulation like nasal spray or nail drops like Afrin Nasal spray provides relief within few seconds in nasal congestion and makes the breathing easier. When you should avoid Afrin nasal spray? you are allergic to any ingredient in Afrin nasal spray. What happens if I miss a dose of Afrin nasal spray? Use the missed dose as soon as you remember. However, if it is almost time for your next regularly scheduled dose, skip the missed dose and use the next one as directed. Do not use a double dose of this medication. What happens if I overdose Afrin nasal spray? If you take an overdose of oxymetazoline, you should seek medical attention immediately. Symptoms of an oxymetazoline nasal overdose include extreme tiredness, sweating, dizziness, a slow heartbeat, and coma. Can I take Afrin with another cold, flu or allergy medications? It is advisable to take consultation of your doctor about using Afrin nasal spray with any other medication. Everyday usage of this medication is not suitable and recommended. You should not use Afrin nasal spray for more than three days in a row. If you need a nasal decongestant after 3 days administration of Afrin nasal spray, please consult your pharmacist or healthcare provider. Afrin nasal spray contains oxymetazoline which is responsible for constricting the tiny vessels in the inner lining of the nose thereby making breathing easier. 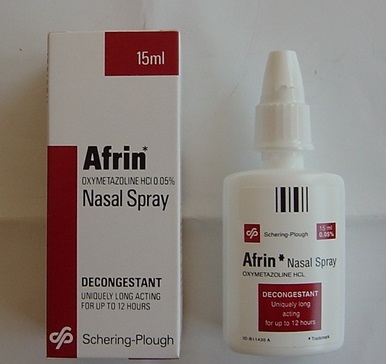 Afrin nasal spray addiction is stated as the self medicating the severe congestion that results from prolonged use of Afrin nasal spray. Use of Afrin nasal spray for more than 3 to 4 days can cause rebound congestion and it can cause complete nasal blockage if people start using it every 5 to 6 hours subsequently. To avoid Afrin nasal spray addiction, you should not use Afrin nasal spray more than the recommended doses. The symptoms of allergy and nasal congestion will disappear after 4 to 7 consecutive days of cessation of medicine. You can also opt for gradual weaning of medicine instead of abrupt withdrawal of Afrin nasal spray which will allow the comfortable airflow through the nose. Also you can talk to your doctor, if you are feeling uncomfortable even after few days of cessation of medicine, he may prescribe you a normal saline spray for few days, which will provide relief in your congested nose and will make breathing easier.